The mission of The Ronnia Langston Foundation, Inc. is to create opportunities and give our youth an access and the tools needed to help them reach their goals by providing the knowledge of sports, education, performing arts, mentorship and volunteerism. The Ronnia Langston Foundation vision is mentor our youth in creating a better quality of life for themselves and their families, thereby enriching our communities. 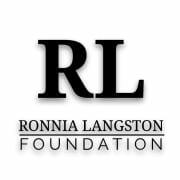 The Ronnia Langston foundation, Inc. was created by a National Basketball Players Association sports agent’s desire to give back to disadvantaged youth within the community. The mentoring program started with a mere five students in 2013 at a local church preparing for the ACT and SAT for college entrance exams, which has now grown to sixty-two (200) students. We are also associated with the STEM program, which is a hands-on education based program with an emphasis on preparing students in the areas of mathematics, engineering, technology and sciences. In addition, we sponsor basketball camps in West Dallas twice a year and raise funds for back to school programs for approximately one hundred (100) under privilege kids. Would you recommend RONNIA LANGSTON FOUNDATION INCORPORATED? They are really nice and it's really fun to work with them!